Description: Wish you can harness the power of night vision goggles into an everyday ocular device? Night Hero Binoculars do just that! See when and where you need to with the latest night vision binoculars. Night Hero uses a special atomic beam laser that reveals objects up to 150 yards away in complete darkness. 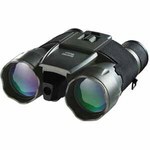 Use Night Hero binoculars during the day for enhanced clarity and contrast, and 10x magnification. They're perfect to use at sporting events, sightseeing, and bird watching. Description: If you are going to be working in a wood shop, you know how saw dust can get all over your shirt and pants. You need a full coverage apron and the Bucket Boss Duckwear Super Shop 26.5 in. Apron is exactly what you need. Made of 18 oz. 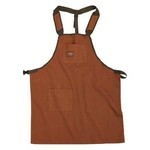 Duckwear Canvas this is a full coverage apron to protect you from saw dust and flying debris. There are padded shoulder straps and there is 1 large waist pocket and 1 bib pocket. The adjustable belt fits waists up to 52 in. and has a quick release buckle.